How To Keep Your Phones Protected In Rainy Season? Monsoons can be hard. What with the nonstop pouring rain and the sticky humidity, half the time clothes stay damp and moving around without protection is stupidity. With the pouring rain, it is mandatory to protect one's gadgets too. The most used and precious being mobile phones. There are various ways by which one can protect their phones from the insane English rains and gloomy London monsoon. Some of the essentials to always carry along with your phone is perhaps a plastic or zip lock cover which is waterproof and airtight. It acts as a raincoat for the phone, giving it complete protection. A plastic or silicone waterproof mobile cover is the perfect mobile protector this season. These covers may not look that appealing but it gives the best protection in the rains. Every time you want to use your phone, your hands would probably be wet from handling the umbrella or raincoat. This cover comes handy in such circumstances. They are cheap, commercially available and easy to use. If there are a lack of options, one can always carry a polythene bag and keep it handy. It can be used anytime and anywhere when usage of the phone is necessary. Stuck in traffic with low battery and the rain seems to not stop? The best gadget in need is a power bank. Power banks are saviors when it comes to emergency situations and makes sure to carry one with you wherever you go. It is easily available, cheap as well as portable and lightweight. Power banks are handy even while traveling and the most useful while stuck in the rains or other emergencies. Use a Bluetooth headset instead of actually using the phone. These headsets are available for quite a few years in the market, available in most gadget stores and they are cheap too. There is no need of using the phone at all, and it can be kept in the bag, away from exposure to moisture. Calls can be received when required and thus emergencies averted. A tempered glass is another object which is widely used for screen protection. The same can be used to avoid monsoon spells on your phone too. 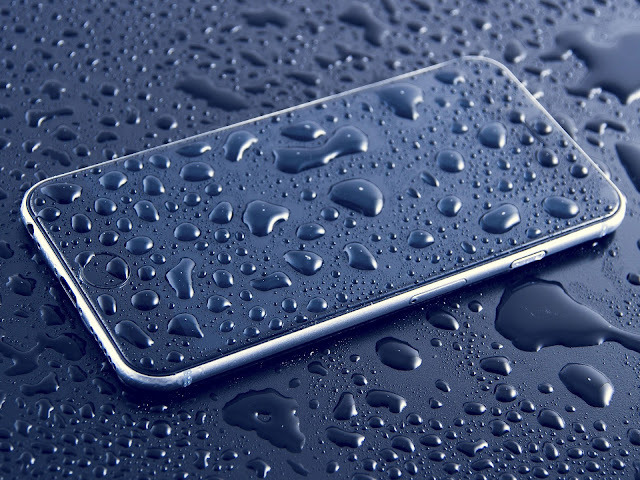 It protects the phone from microleakage of water and protects the screen too in case there is any moisture exposure. Silicon balls are the best and the most useful moisture protector for the phone. It helps in absorption of moisture in case there is an emergency situation where the phone gets wet. The cardinal rule of absorbing moisture is to avoid using a blow dry for the phone or even a microwave. Yes, some people get such crazy ideas! Never charge your phone after it gets wet and immediately takes it to your nearest service center or try the age-old trick of dunking it in a pile of rice. It acts the same way as silicon balls, helping to absorb the moisture from the phone. Using a hair dryer fries the phone and damages the motherboard, making the device irreparable. Phones are precious and investing into protection for your phone which will save you from a lot of expenditure after using Dealvoucherz Voucher Codes. One should always be aware of the weather conditions while heading out and at all times keep their power banks chargers and Bluetooth set ready. Waterproof covers may look ugly, but it can be used only for the weather purpose and to avoid damage to the phone. One can always use it on a seasonal basis. Rubber and silicone covers are usually recommended which have good coverage. Or else, just carry a plastic bag and dunk in your phone, securing the opening. Silicon balls and rice can be kept handy too in your bag, if not, at least at home, where you can use it to avoid extensive water damage. One good advice would be to not charge the phone if there is a possibility of a leakage in the phone. Be it from direct charging port or power bank, it should always be avoided unless one is sure that there are no water remnants in the phone. Avoid using headphones in the rain and protect your gadget like your baby. Explosives phone or into, every phone and gadget should be protected from water damage as it may lead to damages which are not covered by warranty and may create a hole in your pocket. So, precaution should be taken prior to stepping out in the deadly London rains.